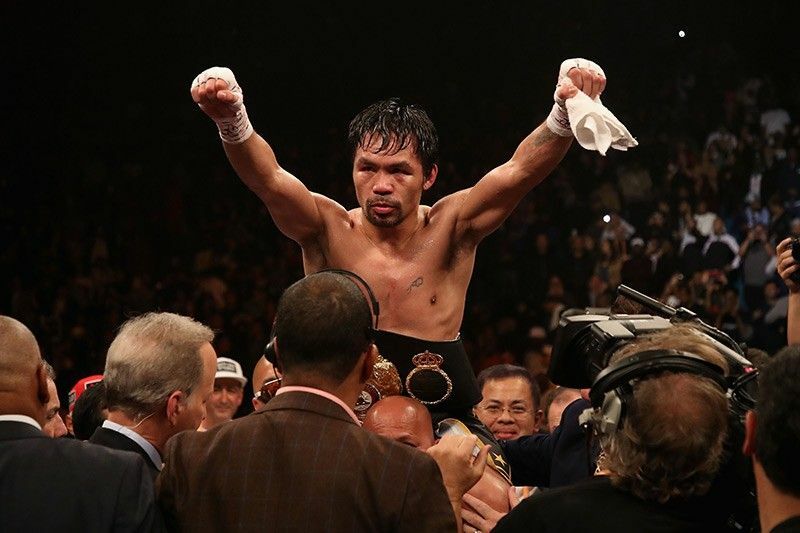 MANILA, Philippines — At least four robbers are responsible for ransacking Manny Pacquiao's Los Angeles home last weekend. According to a report by GMA News, CCTV camera footage from the night of the robbery showed four masked men enter the boxing legend's LA residence Saturday (Sunday, Manila Time). The crime took place during Pacquiao's fight against Adrien Broner in Las Vegas and was only discovered the next morning while the boxer was already on his way back to LA. The CCTV camera footage allegedly showed the group of robbers enter the Filipino Senator's home at around 8 p.m. (LA time) and once more at around 12:27 a.m.
Valuables like signature shoes, unused clothes and gadgets were taken. Curiously, the security video also allegedly showed that the robbers had no difficulty in entering the home. Despite jumping over the gate, the front door to the Pacquiao residence opened easily for the crooks. The discovery led to speculation of an inside job. The robbery marks the third time in seven years that the LA home has been broken into, first during Pacquiao's training abroad in 2012 and another just last 2018 during a Pacquiao fight in Malaysia. The footage is already in the possession of the LA Police Department.